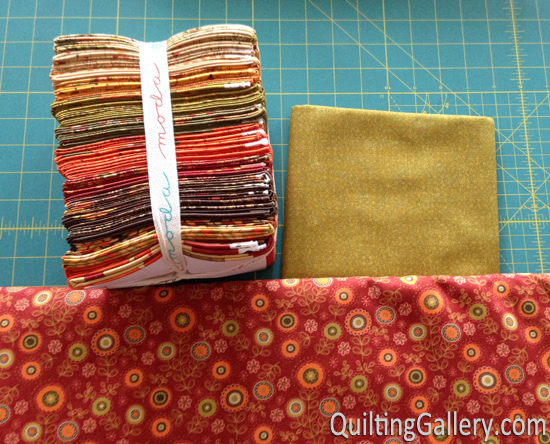 I am excited to be participating in the Fat Quarter Shop’s latest Shortcut Quilt, Fat Quarter Fizz. 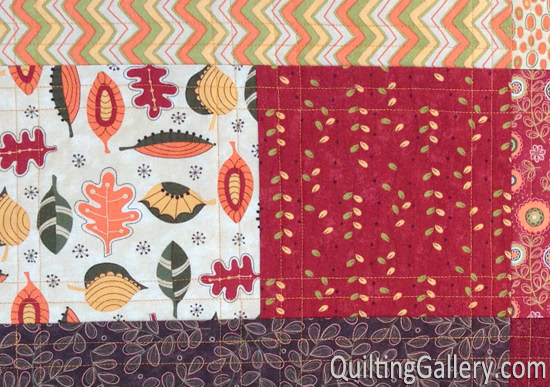 Yes, you guessed it, this quilt is made with fat quarters. AND, it’s a free pattern that you can download and make yourself. I chose to work with Hello Fall by Sandy Gervais. I just love the gorgeous warm colours in this line. The fat quarter bundle comes with a super cute bonus panel that you can see how I used it the backing photos below. I took Milo and his girlfriend Mollie with me for the photo shoot. Some finished photos, with only one side of the binding stitched around to the back. Milo is showing off his belly crawl in this photo. Sorry Milo, but it doesn’t show in a still photo! Let’s see the back panel. Isn’t Milo being very helpful? 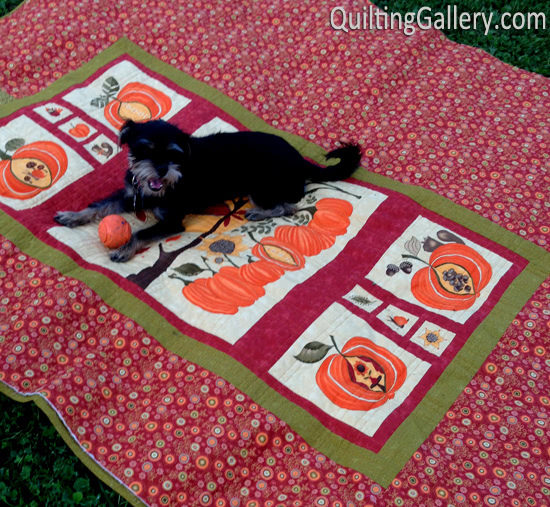 Notice how well his ball matches the quilt! Tricked Milo into getting off the back, and at least Mollie moved off the panel so we could see it. Isn’t the owl super cute? 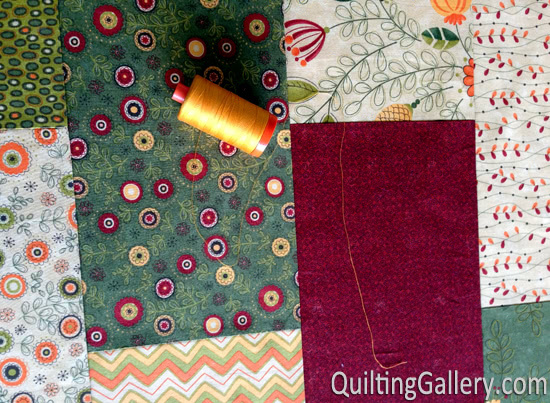 For the quilting, I chose an Aurifil 50wt thread in colour #2140. It’s a beatiful cross between cheddar orange and gold. 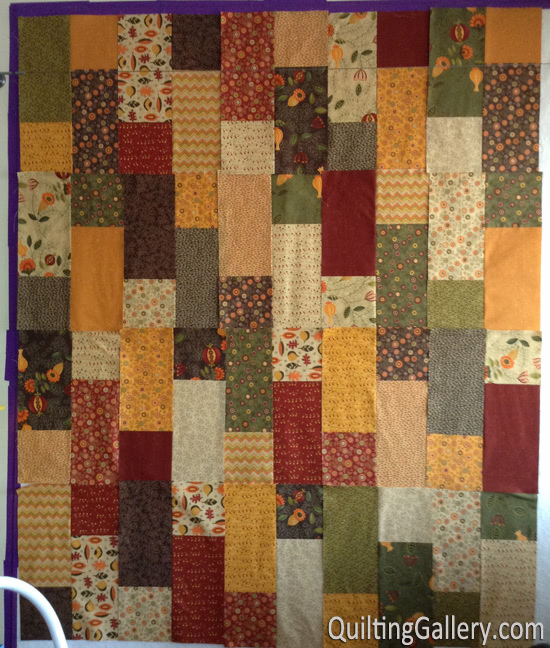 I did straight line quilting, about 1/2″ away from the seam lines, then echoed the first stitches so that I had four lines of quilting 1/2″ apart. I used the edge of my walking foot as a guide. When quilting horizontally, I just drew lines bisecting the larger rectangles so that I could maintain the same quilting design from top to bottom and left to right. Ready to make your own version? Kimberly Jolly from the Fat Quarter Shop has put together a short video showing how to make the Fat Quarter Fizz. 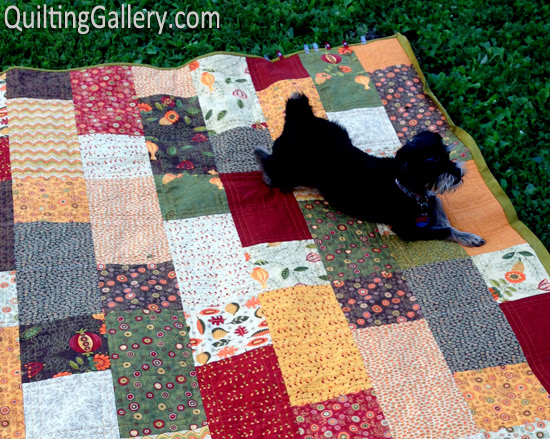 Head over the the Jolly Jabber blog to see other variations of this quilt. 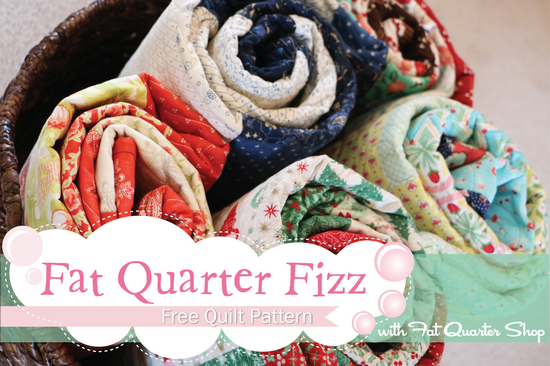 Download the free pattern here: Fat Quarter Fizz. For more Fat Quarter Fizz fun, be sure to visit the other bloggers participating in this event. I can’t wait to see what fabrics everyone else chose. 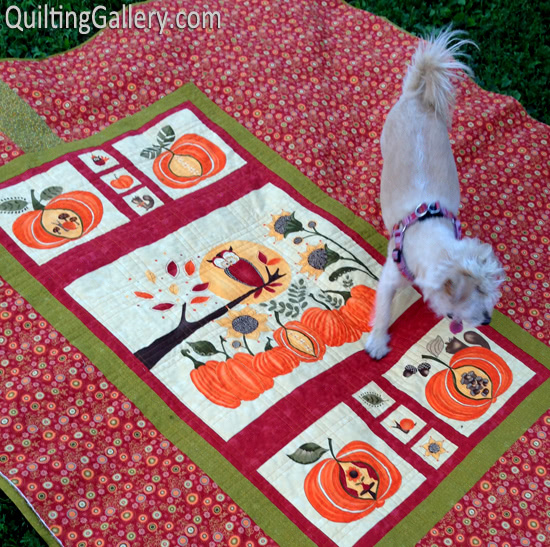 Michele from Quilting Gallery – You are here! 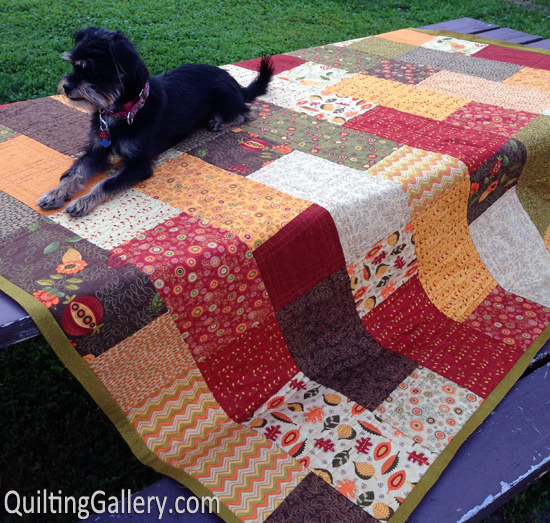 I love your fabric choice for this quilt! I have purchased some to use to make a table runner for fall. Autumn is my favorite time of year and the colors that go along with it are my favorite. I just don’t like what comes after! Beautiful collection of fabrics. 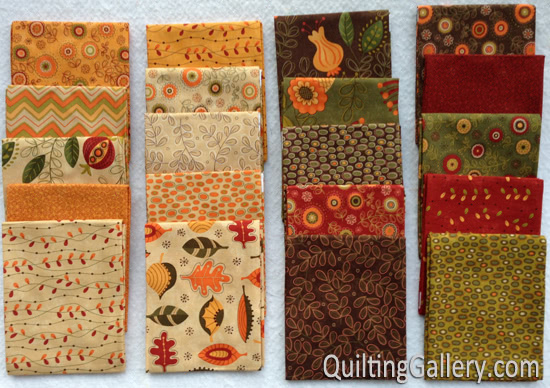 I love Sandy Gervais’ fabric designs, and I love fall. What a beautiful quilt! 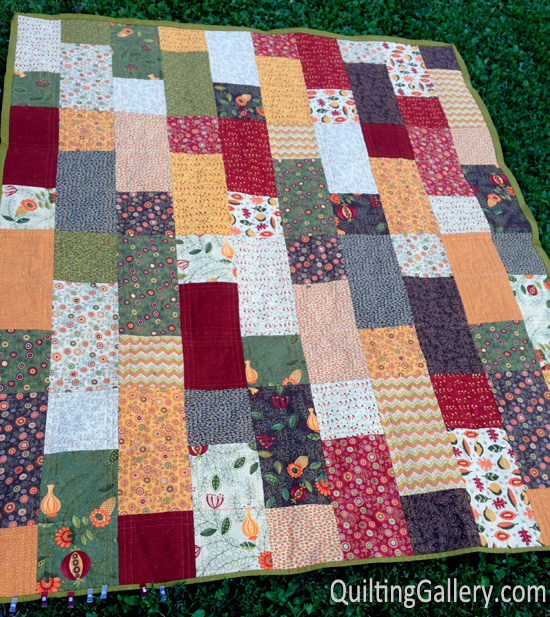 What a fun quilt….I want to make it and in those fabrics. I always love SG fabric designs. Thanks for sharing. me encantan sus diseños. me gustaría saber donde adquirirlas telas en Miami, lugar donde reside mi hermana y atraves de ella tenerlas. 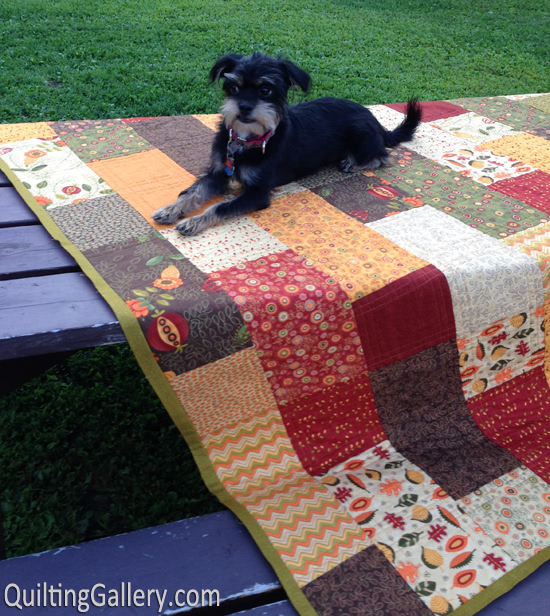 resido en cali ‘Colombia y aprendo el patchwor quilting en PATCHWORK QUILTING & CALI. PAGINA EN FACEBOOK. GRACIAS FELICITACIONESSSS- ANA GOMEZ.